It's such a good feeling: Healing. This is one of my favorite religious paintings. waiting for a chance to be healed. 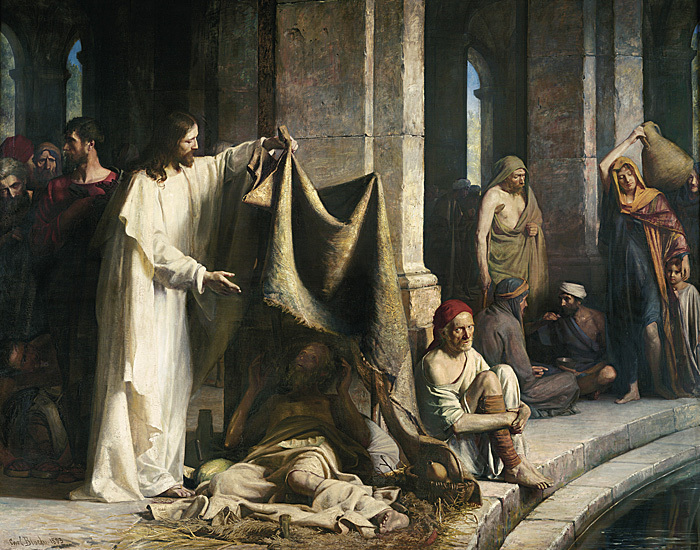 We have this painting hanging in the art museum at BYU. and it's nice to sit in front of it. but the one next to them. The one in the cap, hugging his knees. with which Bloch has painted his face. there are those who don't notice Him. But I think that man is hoping. He's stealing a hesitant glance. But he may not believe that it could work for him. After all, he is so lowly and common. Will He come to me next?